Epilogue to: What About Meredith? ICYMI: Here is the link to my previous post. Well the two-part season finale has come and gone. IMHO, Grey’s conclusion was honest, and perceptive throughout both episodes. Not only regarding Meredith, but those surrounding her, including friends; his sister, Amelia; and even April Kepner. In fact, the episodes could have accurately been entitled “Portraits of Grief.” How one handles the loss of a loved one is not an A-to-B-to-C progression. It is multifaceted. It has twists, turns, and double backs. It rarely stays the same. Of course, we were riveted by the young couple and their unborn child involved in a horrific accident: Can they be rescued? Who will be the hero? Will they survive? Romance in all its complexities was portrayed by the Richard-Catherine story line: How do two, strong-willed individuals compromise enough to commit to one another? But the underlying current was grief — in all its guts and glory. We soon learn the Meredith packed up the kids and slipped away in the middle of the night. Gone for a year, we are shown snippets of how her friends deal with her absence. At first they are worried, then frantic. A little pissed off; most of them resign themselves to Meredith being Meredith. What she, the new widow, failed to understand is a concept that took me a while to realize: you are not alone in your loss and are now a role model for how to grieve. Your closest companions, family, in-laws, and colleagues have lost someone as well and are unsure of how to handle it. They need to see that you are OK, that you are coping, moving on — surviving — before they can as well. In a twisted way, their lack of composure is comforting; at least it was for me. It demonstrated that my husband’s life resonated with others, that he mattered, that he wouldn’t be forgotten. This is not to say I don’t admire Meredith for her selfishness. I am actually jealous. Her kids aren’t of school age. She had the financial resources to disappear. It was a luxury that few widows have, but secretly crave. All in all, it was a perfect metaphor for the sense of suspended animation you are in for a least a year. The world continues to rotate; life goes on, no matter how enveloped in grief you are. She was able to get off the infamous carousel for a while and just breathe. Amelia’s grief demonstrated how loss is dealt with when it is initially denied. As the damaged sister, she had her walls in place. She’s been through this before. (father, lover, baby) She didn’t need any help. She was just fine, thank you. Only when she teetered on the edge of losing sobriety, did she finally cry out for support. 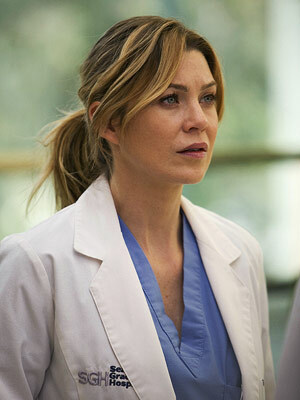 As I hoped Grey’s would do, she angrily confronts Meredith about not having the chance to say goodbye to her brother. My husband had three sisters, just like Derek Shepherd. Only one was able to speak her farewell to him at the hospital. This was a moment in time that was of utmost importance to her and would have devastated her if it was prevented. Meredith’s reaction was equally revealing. She breaks down in tears after Amelia leaves. Why such a response? Did she feel guilty? Unjustly accused? Probably a little bit of both. But in that scene, the audience is shown a key component of grief. 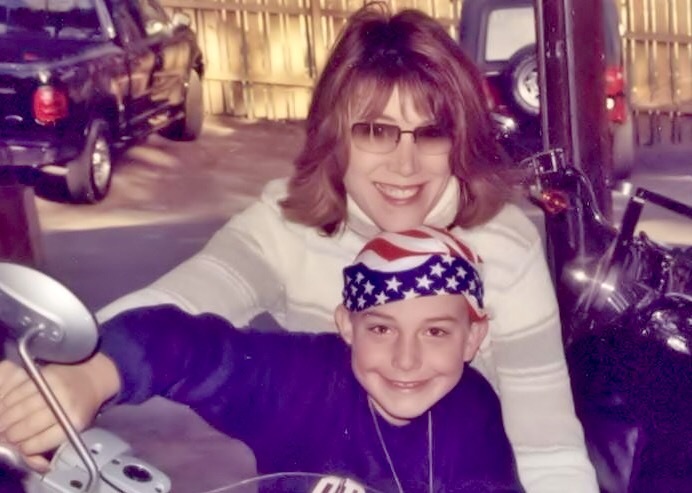 365 days— whether they are in reality or the television universe — are but a moment in the life of a widow. Emotions can well up and over at any time. They may or may not make “sense.” Every so often, they are uncontrollable. Even April and Jackson were caught up in the cavalcade of grief. After losing their child, April runs off to a combat zone to channel her anguish, leaving Jackson behind to grieve alone. She comes back recharged, but different. “I like the new April,” Bailey tells a skeptical Catherine. Jackson later tells April that while he is happy for her new sense of purpose, he did and continues to feel abandoned in their supposedly shared heartache. Dealing with the loss of a loved one, especially a child, is partially a cooperative experience. When someone in the grief collective opts out and decides to go it alone, the rest are left feeling forsaken. The processing of their sorrow may be incomplete. Will their marriage survive this trial? We are left to ponder for the duration of the summer. These story lines aptly portrayed the ripple effect of death. Losing someone close to you, whether it be a treasured friend or cherished loved one, affects everyone differently — but continually. Grief is both private and public, intimate and communal. It is ugly in its brutality and beautiful in its poignancy. Bravo Grey’s Anatomy. Thank you for getting it right. I’m not even going to bother with the spoiler alert. If you are interested in reading this, you know what happened. McDreamy was killed through a series of unfortunate events. 1. Foolishly stopped his car in the middle of road. 2. T-boned by a semi. 3. Transported to a level 2 hospital. 4. Suffered the ramifications of either the chauvinistic medical system or an egomaniac on-duty attending, depending on your viewpoint. Many posts have been written about the way Derek’s departure was handled. Was the episode a 41-minute middle finger gesture by Shondra Rhimes to Patrick Dempsey? Was it a commentary on the unavailability of top-tier medical facilities? Or was it an accurate depiction that people can be careless, needless mistakes can happen, and people die for stupid reasons? I’ll leave that debate up to other blogs, the Twittersphere, and Change.org petitions. No, my focus is going to be on Meredith, the unsuspecting wife, doctor, and ultimately, the woman who held Derek’s last breath in her hands. You see, years before, that character making that gut-wrenching decision to sign the ominous papers was me. On August 23rd, 2008, my husband went into cardiac arrest while coaching our son’s football game. We waited over 18 minutes for emergency services to arrive, while two dear friends – an EMT and a paramedic, worked valiantly to keep him alive. A third, a NICU head nurse, dictated events to the 911 dispatcher. Terms like “agonal breathing” and “unresponsive” stabbed their way into my now muddled consciousness. We could hear the sirens circling, but they were having trouble locating an entrance. Each circumnavigation lulled me further into a hypnotic panic. Finally, fresh, unexhausted paramedics arrived on the scene and joined in the resuscitation efforts. Our two sons (ages 13 and 15) and I watched hopelessly as he was hooked up to electrodes, shocked and jolted repeatedly. I lost count after three. At some point, he was deemed stable enough to transport and was loaded into the awaiting ambulance. I wasn’t allowed to accompany him. That was the first hint of permanent calamity. I pride myself on being somewhat medically savvy. Back at home, I know that our local hospital is ill-equipped to handle major traumas and it’s best to travel to the one in the next valley. I knew the mega Children’s Hospital in the city had the elite doctors we desired to monitor our son’s diabetes. When my husband was first diagnosed with leukemia, we researched which cancer center had the finest treatment options. But we were out of town at the moment. I had no idea what hospital we were going to or its reputation. Just like the path of Derek, I simply had no choice in the matter. As we arrived right behind the ambulance, I noticed my husband was having seizures. (The second clue) I was deftly whisked to an administration counter — not to the emergency room where he was being treated. (Third omen) Asked to fill out simple paperwork, I was dumbfounded by my inability to sign my own name. The signature I had practiced countless number of times across notebooks and napkins before legally scribing it for 18 years would not flow from my shaking fingers. My brain and my body were disengaged. Soon, a priest emerged to speak with me. (Fourth indication) Our family and a few select friends were provided a small, private waiting room. (Fifth warning) Still, I held on tightly to hope. I need to be strong for our children, for my husband. There was not the time to break down. I do fairly well under pressure. Periods of extreme stress seem to short out my emotions. I’m left in what I have dubbed my robot mode: capable of handling traumatic situations without the encumbrance of sentiment. Much like the soon-to-be widowed Meredith who reaches her husband’s bedside and immediately demands his chart to assess the situation, I knew the moment I saw Matt what was to be the outcome. What the signs had be indicating. I understood I needed to stay in control. As a devoted wife about to lose the love of my life, my personal sense of time seemed to slow down. Medical personnel frantically moved about, but I felt as if I was floating through a cloud of uncertainty and disconnection. I was informed there was very, very little chance of survival. Did I want to continue heroic efforts? “Yes,” I replied. I didn’t want our children to ever have any doubt that all chances were exhausted. Soon, the discussion about the infamous papers transpired. Just like Mrs. McDreamy, I knew they were coming, I knew what they meant, and I realized they would take my (and my husband’s) breath away. This time, miraculously, I was able to script my autograph. Each of us was given the opportunity to say goodbye. When Meredith told Derek it was OK to leave, I heard my own voice emanating from the television. Movies and TV never seem to depict what happens to family members after a loved one’s life support is discontinued. You’re at a loss as what to do next. What is expected? Another room is arranged for you to spend time with the deceased. To say I was uncomfortable with this was putting it mildly. It wasn’t him. It looked like a deflated and vacated body, not my Matt. He was gone. The next dilemma is when to leave. How long do you remain in the hospital where your spouse has just died? What is the proper waiting period before you have to leave him or her behind? I was particularly struck by the scene where Meredith emphatically instructs the young ER doctor to make Derek’s death count. After which, she vomits in the bushes. I’ve displayed that facade of authority. Donned the same stoic pout. Being a new widow didn’t nullify her position as a doctor, a teacher. Much like losing my husband didn’t abolish my role as a mother or a wife for that matter. In fact, it increased its importance tenfold. The next few episodes of Grey’s Anatomy (conveniently shown during the sweeps period) promise to depict the aftermath of Dr. Derek Shepherd’s departure. I am curious to see how accurately Ms. Rhimes crafted the scenes. Will Derek’s sister be pissed she wasn’t given the opportunity to say goodbye? (A glaring misstep I noticed on Meredith’s part.) Will the loss of his presence resonate in episodes and seasons to come or will his memory fade from future mention? Previous episodes did justice when the news of a prior misfortune made its way to fresh ears. Case in point: When the current batch of residents learn about the plane crash that took the lives of many characters and cost Arizona her leg. Hopefully, this honest portrayal of tragedy – one of life’s everyday occurrences — will continue. My sister and I were texting while the now famous episode was airing. Numerous “OMG”s and “Can you believe this? !” were traveling the messaging airwaves. Finally, I had to cease all communication. Whether it was helpful to me or not, my eyes were transfixed on the screen. My ears were honed to detect any subtle dialog. I had to see if they got things right. I still do.